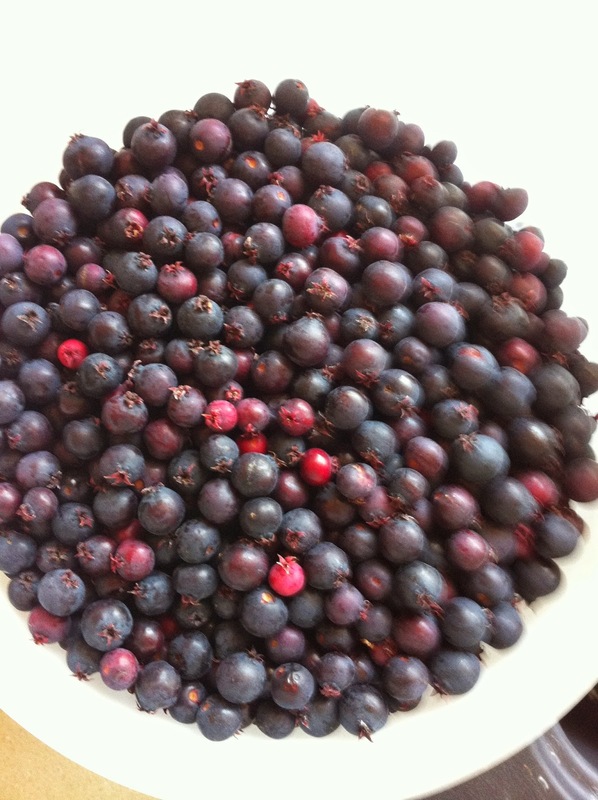 Magpie Quilts: Berry Picking Time! Those of you who have been reading this for a while will know that besides quilts, I also like to garden. 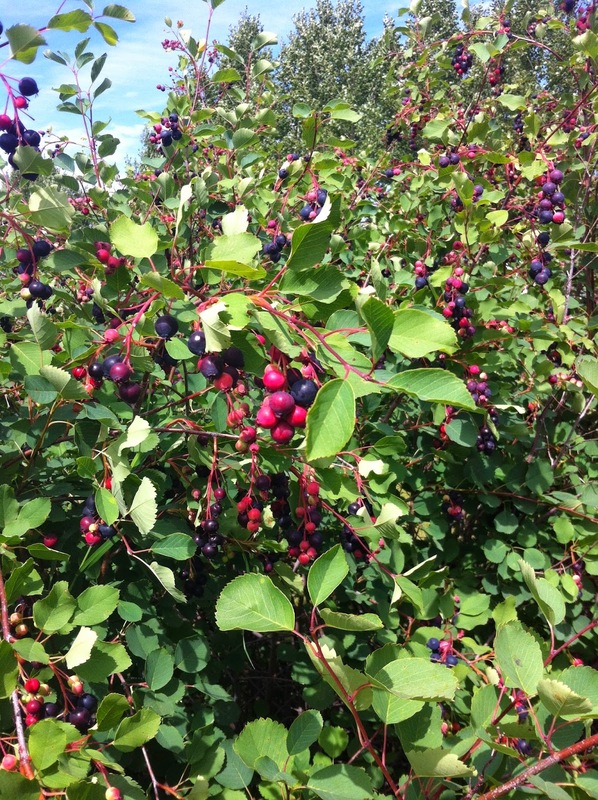 This past week the U-pick farms have been open for picking Saskatoons (aka Serviceberry). These berries grow on bushes and as a child, we would just go out in the bush and pick them wild. I don't have any berries in my own garden and places to pick the wild ones are becoming more scarce, so I spent a pleasant hour picking berries last week at a local U-pick. 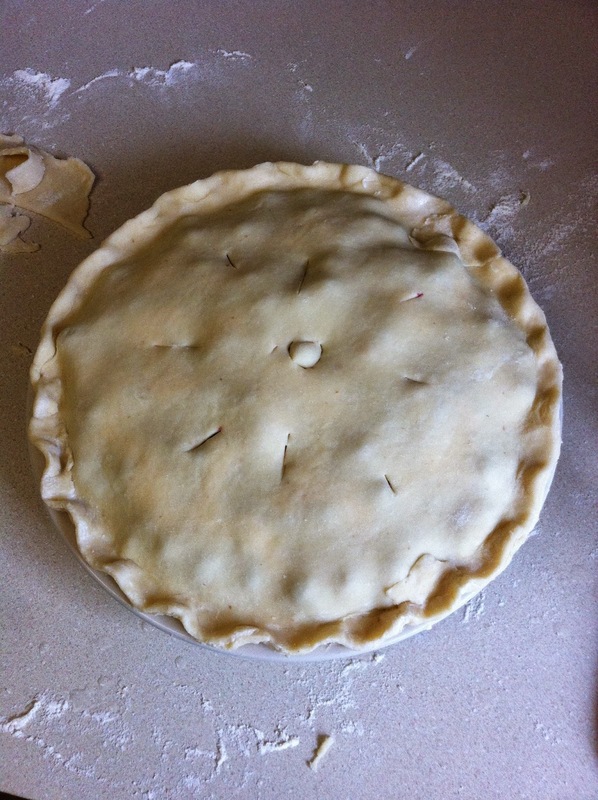 Pie ready for the oven! I've misplaced my favorite pie recipe, so I used another and although it's still good, it's not the one I would like to share with you. My other favorite thing to make with Saskatoon berries is a simple berry sauce for over ice cream. Yum! Mix berries & water in a 2 quart microwave safe dish and cook at 100% (high) 5-7 minutes or until boiling. Sit. Cook at 70% (medium) 3-5 minutes, stirring once. Mix cornstarch and sugar and stir into berries. Cook at 100% (high) for 90 seconds to 2 minutes stirring at a minute. Add lemon juice and almond extract. Cool. Serve over pancakes, waffles, ice cream or plain yogurt.